From knitwear favoured by Beyoncé to diamonds and showstopper handcrafted accessories, Joburg is Africa’s capital of luxe. Here’s our ultimate luxury shopper’s guide to Joburg. @yagazieemezi showing us how to wear a #MAXHOSA men’s crew in Harlem 👸🏾🌟. Featured in Italian Vogue, sold at Paris’s BHV/Marais department store and mentioned by Beyoncé, this South African designed knitwear brand is making waves globally. Founder Laduma Ngxokolo is inspired by manhood rituals of the South African Xhosa people, and Ngxokolo uses patterns, beadwork and symbolism from this rich culture in his modern contemporary clothing designs for him and her. Work Shop New Town, Cnr Miriam Makeba and Gwigwi Mrwebi Sts, Newtown. This is an appointment-only destination for your diamond and tanzanite education – a perfect place to start your journey to purchasing one of these flawless beauties. Bryllianta is a plush, private and secure jewel boutique offering personalised service and drop-dead gorgeous views of Sandton while you shop. Owner Bryna’s many years of experience will ensure that you can tell the difference between your carats and your carrots, and understand the quality and value of stones before you make your purchase. The Forum of Sandton Square (2 Maude St), Sandton Central. Tucked into an industrial building in Industria North, this place is one of Joburg’s better-kept secrets. 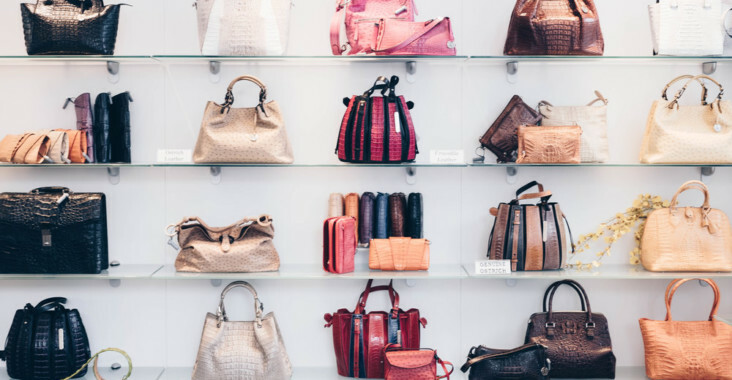 For luxury addicts, Via La Moda’s showroom is a must-stop on any Johannesburg itinerary offering up an enormous array of finely crafted handbags and other leather accessories in a glorious arrangement of vibrant colours, shapes and textures (said to be the largest display on the African continent). From handbags to purses, and leather belts, each item is made with care and precision, and stitched in the pristine workshop overseen by Austrian-born designer Hanspeter Winklmayr. The leather materials used are ethically sourced and the focused process of creating a luxury product is evident from the patience displayed for precise and painstaking work. Winklmayr displays an attitude of reverence for the materials he uses. Each skin is individually treated and the manufacturing process ensures that every piece of material is used. Most refreshing is that this homegrown South African luxury brand revels in producing unique designs that are frequently updated, making many pieces collector’s items, as quality is prized over quantity. A super stylish menswear store off ering a range of men’s clothing items that every wardrobe should boast. Items are responsibly made locally and fabrics are sourced from as far afi eld as the US, Europe and Japan. The store also off ers made-to-measure suiting and delivery to 50+ countries globally. 44 Stanley, 44 Stanley Ave, Milpark. Ardmore Design is a luxury African brand that translates the intricately patterned, brightly coloured and whimsical art of hand-painting found on the highly collectable Ardmore Ceramics range, into design and decor items. The range includes tablecloths, wall-hangings, cushion covers, placemats, handbags and even stationery. Hyde Square, cnr Jan Smuts Ave and North Rd, Hyde Park. 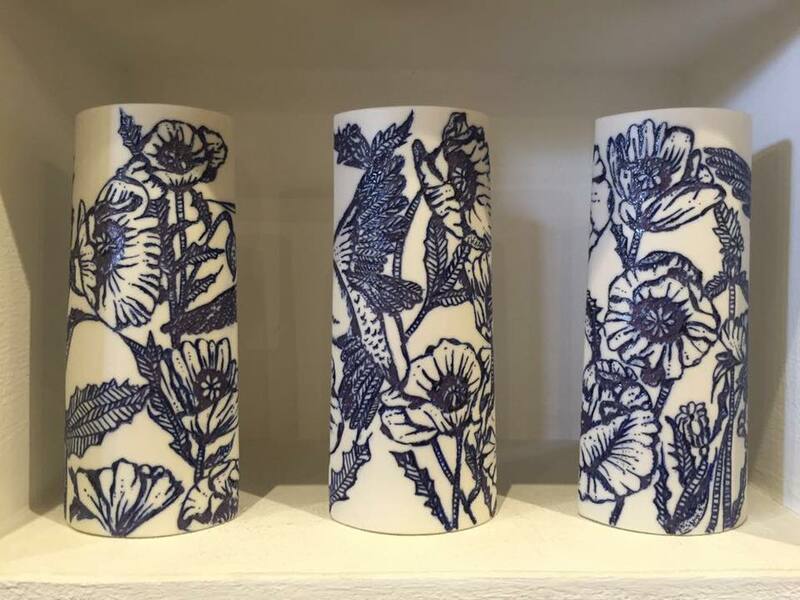 Danish-trained ceramist Kim Sacks stocks collectable ceramic pieces, produced through artistic collaborations. Her Moorish-styled gallery is conveniently located along Parkwood’s Art Gallery Row. Here you’ll also find museum-quality traditional and contemporary handmade objects. 153 Jan Smuts Ave, Parkwood. Marianne Fassler’s design style is bold, eclectic and electric, using vibrant colours and African-inspired motifs. Long before Europe’s top design houses ‘discovered’ African prints, Fassler embraced an aesthetic that is distinctly chic, urban and African. Visiting Leopard Frock, her studio and showroom in suburban Saxonwold, is an immersive experience. It’s a dress-up space fi lled with rich colour and detail, and a place where you will be off ered the opportunity to view Fassler’s design archive. The Melvill family specialise in fi ne hand-crafted accessories and luggage in leather and safari canvas. Their range of hand-stitched leather accessories, inspired by 19th Century colonial designs, include bird book covers, elegant carry-on bags and the Serengeti Sundowner, a beautiful leather tote that neatly stores six wine glasses. This sister store to Charles Greig Jewellers in Hyde Park stocks an exquisite range of contemporary luxury items, from Kenyan designer Anna Trzebinski’s hand-made feathered pashminas to one-of-a-kind jewelled pieces, leather goods and Africology spa products. A treasure trove of beautiful items. Nelson Mandela Square, Sandton Central.